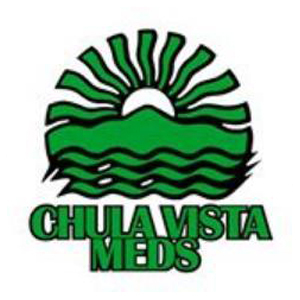 Chula Vista Meds is a medical marijuana dispensary. They have an amazing collection of strains. The atmosphere is friendly and relaxed, and the staff is always happy to answer all of their patient’s questions. Chula Vista Meds gives 10% off any donation for disabled, seniors, military affiliation and veterans! It is a non-profit collective founded by a group of patients that have been working in the medical marijuana industry for years. All of their medicine is inspected for potency and safe for consumption. If you’re a new patient, you will receive a free gift, however, remember to bring your documents with you, as the staff will need to verify you as a qualifying patient and a resident of California State. After that, you can expect a great costumer service, lots of medication to choose from, and a knowledgeable people to help you with your decisions.